The Landings is one of the most eclectic and comprehensive neighborhoods in Sarasota. Envisioned in the 1980s, The Landings is a series of neighborhoods designed to feature everything all the elements that make Southwest Florida a great place to live. Development of The Landings took place over a couple of decades; once completed, it featured a great number of residential options and amenities for its lucky neighbors. Between the various mid-rise condominiums, single-family homes, townhouses, and maintenance-free villas, The Landings has 700 residential units within an exclusive gated community. With nine lakes, robust and mature trees, and direct access to Roberts Bay and the Gulf of Mexico, house hunters will delight at the many attractive living options in this exclusive neighborhood. The original villas of The Landings were developed in the early 1980s in the style of carriage homes. Later construction included the Treehouse neighborhood, which consists of wooden townhouses with a bay front view. The single-family homes feature diverse contemporary architectural designs, and they range from 2,018 to 6,430 square feet. A two-bedroom and two-bathroom home is usually priced at $456,000. A handsome waterfront estate with six bedrooms and a private swimming pool can be negotiated for $737,000. Depending on the neighborhood, residents of The Landings may have access to a community swimming pool and fitness center. Neighbors have their own Racquet Club with eight tennis courts, a clubhouse and a large exercise facility. The Landings even has its own shopping center anchored by a large Publix supermarket that anyone can walk to. The Landings is strategically located in South Sarasota. The downtown district and the beaches of Siesta Key are just a few minutes away by car, and a good amount of suburban comforts in terms of shopping and entertainment are within walking distance. The schools nearby the Landings are: Phillippi Shores Elementary, Brookside Middle and Riverview High. 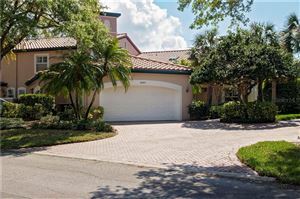 See all Landings Sarasota Homes for Sale. 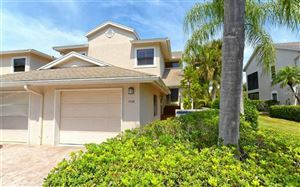 See all The Landings Condos for Sale in Sarasota.